The top priority in the networked age is the security of our data. With this in mind, we developed the now business communication tool, which enables you to communicate within your company using the highest security standard and share files. Scroll down and learn why this is important for you. 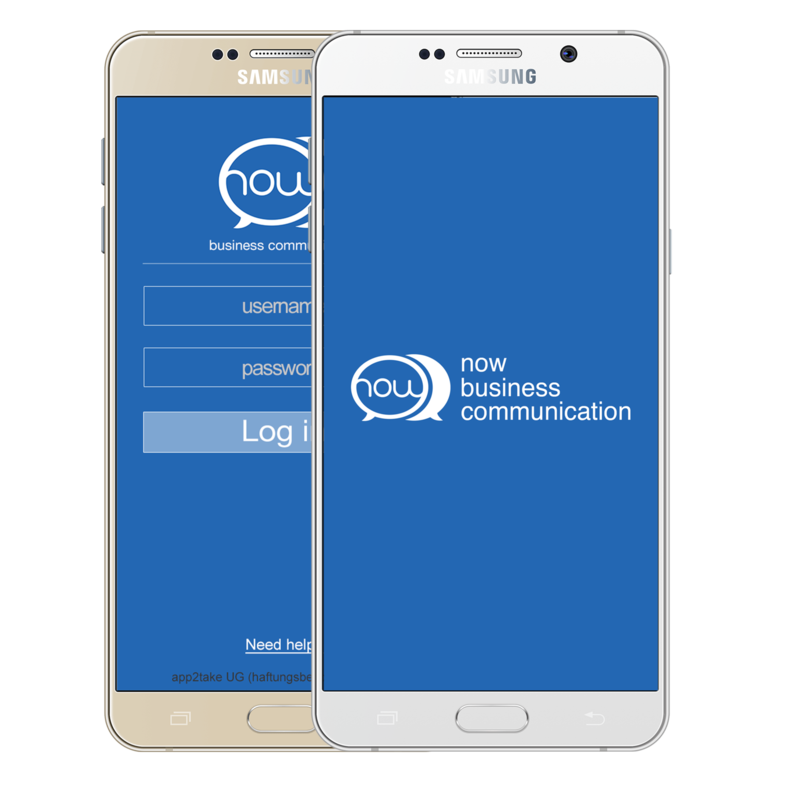 The now business communication client is designed to be easy to understand and simple as possible. Each of the many features of now client is easy to find, understand an to use. You also have the possibility to customize the design of nowclient by us for your needs. For our communications clients, we have developed a security system that meets the highest encryption standards. The security of your communication is our top priority. 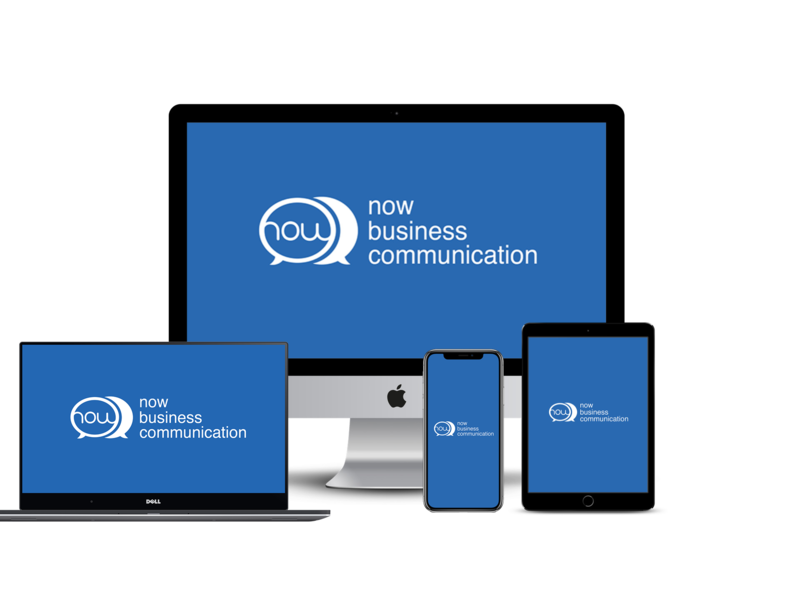 Because we believe that maintaining corporate communications is an important part of the collaboration, we also offer our software for mobile devices to ensure access to the communications network on the go.  we offer you a wide variety of additional features for now. Our communication software is available for all major operating system platforms, on computers as well as on tablets or mobile devices. Our intention behind it is to be able to communicate anytime and anywhere you want. For the administrators we offer the "intelligente circles" funktion. This makes it possible as an administrator to divide users into different groups as needed. Thus, for example, certain workgroups can exchange information faster and more securely. If you are interested, we offer you the possibility to adjust the functions of our software as you like. Thus, you can remove unnecessary functions from the software for you. In addition, we are gladly available to integrate additional requests into the software. 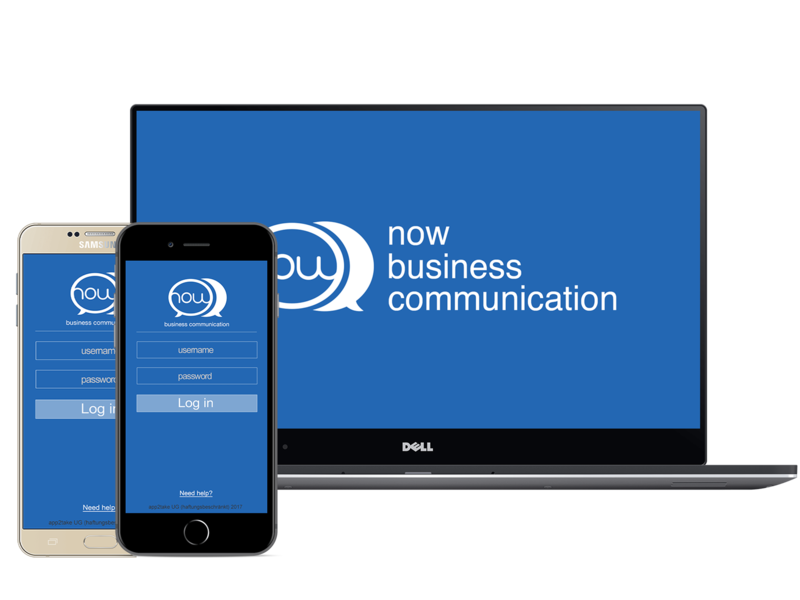 now business communication tool is available for tablets running on iOS, Android and Windows. 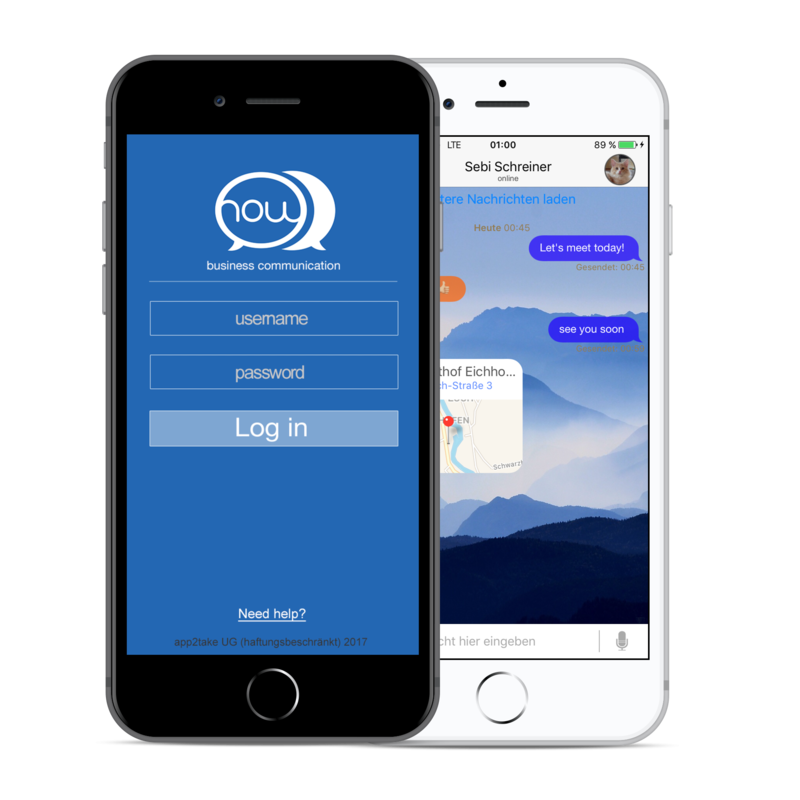 The center of now communication tool is our desktop client for computers running on windows, macOS and Linux. With the now mobile client we offer you the possibility to stay connected while you are away from your computer. Available for Smartphones running on iOS and Android.